String Quartet, String Orchestra ... and More! 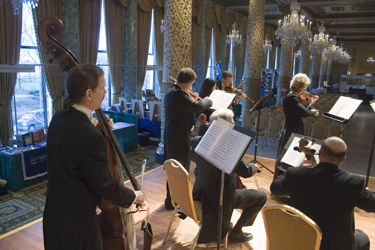 Amadeus Consort is a Chicago based professional String Chamber Ensemble, that offers regular public concerts and provides music for both corporate and private events - including weddings and religious ceremonies. Amadeus Consort will perform its 100th public concert this Spring (2018). We will pass this milestone as we embark on our 10th season of chamber concerts at Chicago's "Shrine of Christ the King". These performances are offered FREE to the public, as they are undewritten in full by the "Instutute of Christ the King". See Performance Calendar for details on this series. See the Private Events and Wedding sections for further details. Amadeus Consort is an ensemble in residence at Lake Street Church of Evanston, where have been performing oratorios and other choral works with its choir, during special holiday programs, on a semi-annual basis for over 10 years. See our Performance Schedule and Archive for details on these and other events. Through dedicated attention to period performance practice, the Amadeus Consort recaptures the grand spirit of the classical era. 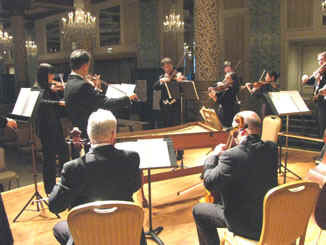 Frequently performing works of Wolfgang Amadeus Mozart and Franz Joseph Haydn, the ensemble brings an air of the eighteenth century to its performances. But, the Amadeus Consort's versatility does not end with Mozart ! 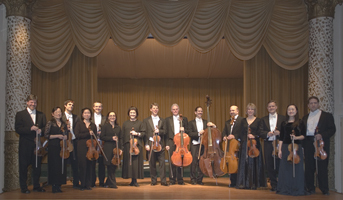 The extensive repertoire encompasses many styles and tastes. From the Baroque and Romantic periods to the works of George Gershwin, the Amadeus Consort creates that excitement and atmosphere you seek in a musical performance. For information for large concert or event produciions, as well as large corporate events, please visit: www.AmadeusProductions.com .